With Spring around the corner, I wanted whip up a lighter dish that was flavorful, satisfying and filling. 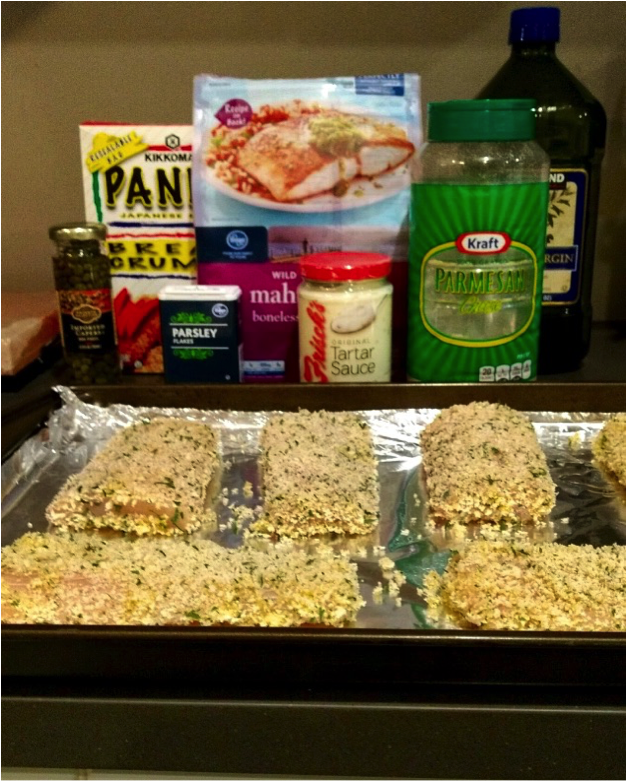 Inspired by the zesty taste of Frisch’s Original Tartar Sauce, I decided to enhance an old family favorite: pan seared Mahi Mahi. We were going to see a concert with some friends and invited them over to our home before the show which was the perfect opportunity to debut the dish. This recipe is cost effective with low prep/cook time, and it fed four adults. Serve with a side of roasted rosemary potatoes and Caesar salad to complete the meal. Thaw Mahi Mahi for 15-20 mins in chilly water if frozen. 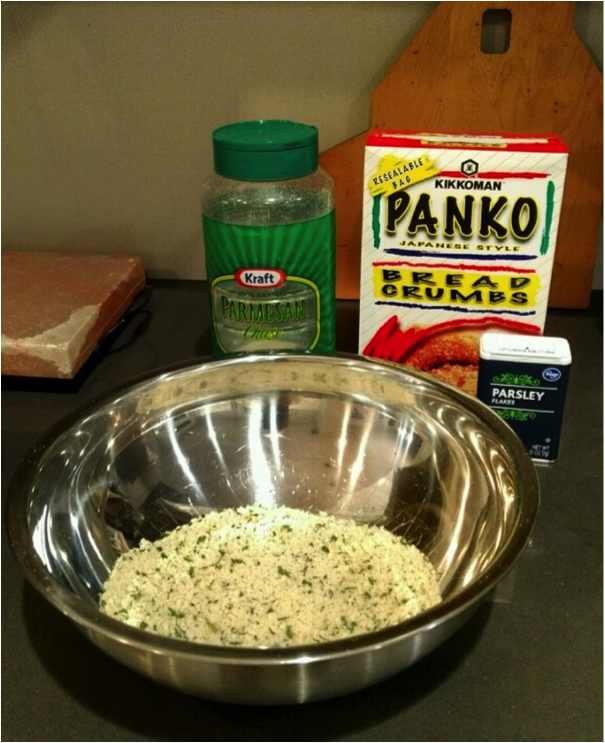 Mix bread crumbs, parsley, and parmesan cheese in medium size bowl. Set aside. 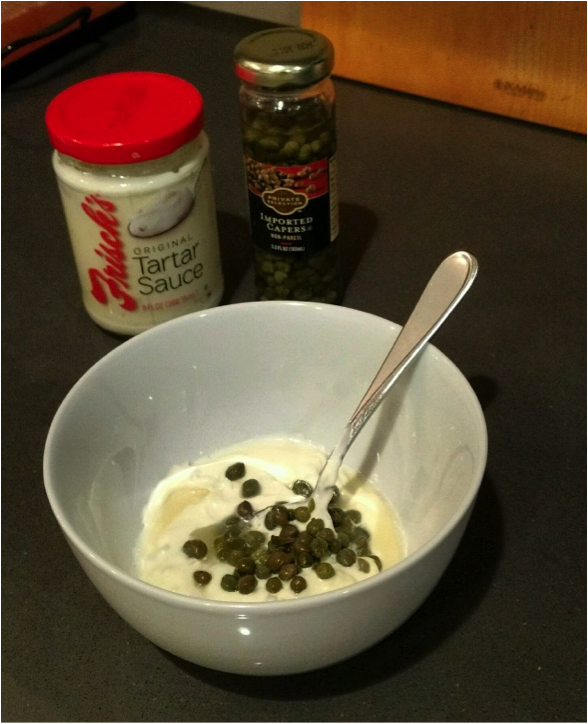 Mix Frisch’s Original Tartar Sauce and capers. Put back in refrigerator. Break and whisk eggs in medium size bowl. 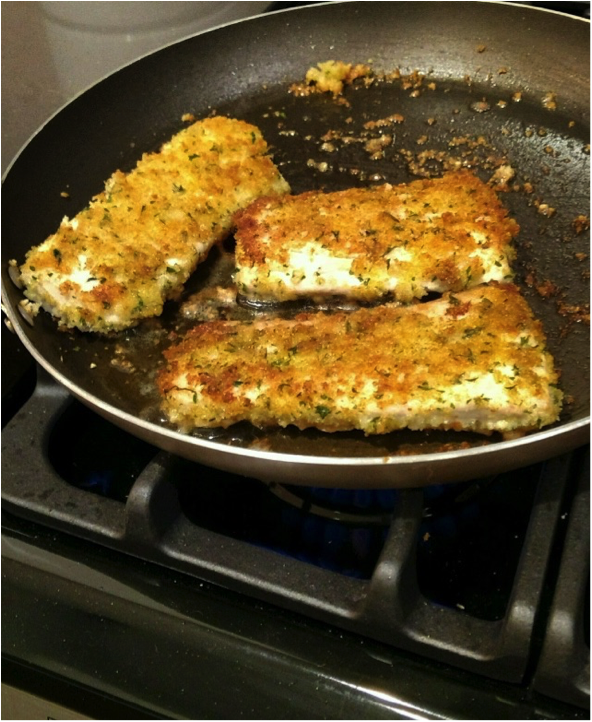 Individually coat thawed fish in the eggs and toss in bread crumb mixture. Set on tin foil until ready to cook. In large pan, heat olive oil (use enough to cover entire surface of pan) on medium high. When hot, place fish in pan and cook for 3 mins. Flip and repeat on the other side. Place fish on plate and top with Frisch’s Original Tartar Sauce and capers mixture. Make sure to put it on when the Mahi Mahi is fresh off of the stove; the way the sauce melts is amazing! 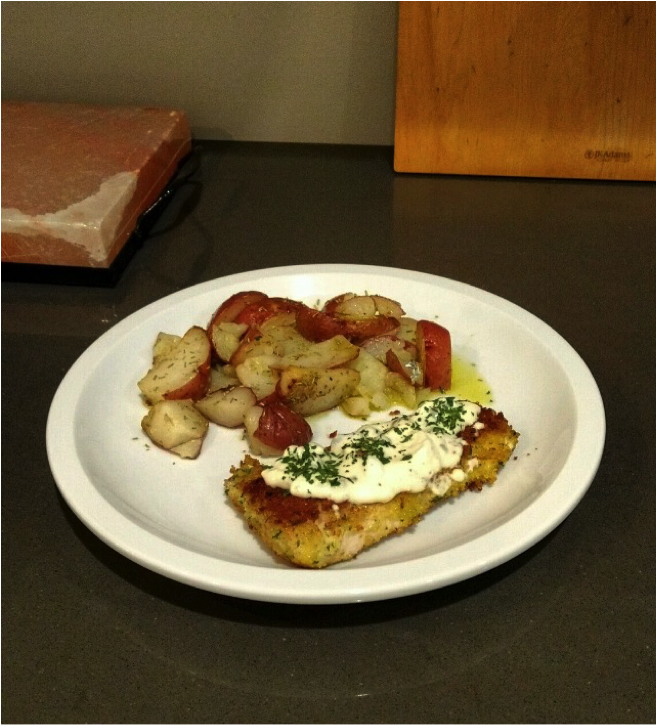 Top with a dash more parsley and serve with side of roasted rosemary potatoes and salad to complete the meal. Previous PostPink Tulip Club – Grand Reopening Party!Next PostGet Your Gal Pals Ready! Men Show Live March 25!